Herbal supplements are being used more frequently by people looking for a natural remedy for stress and anxiety. Whether you have trouble sleeping because of excessive worry or you feel tense because of stressful life situations, certain herbs have been shown to be helpful in promoting feelings of relaxation and calm. Like any other medication, herbs should not be taken without first consulting your physician. 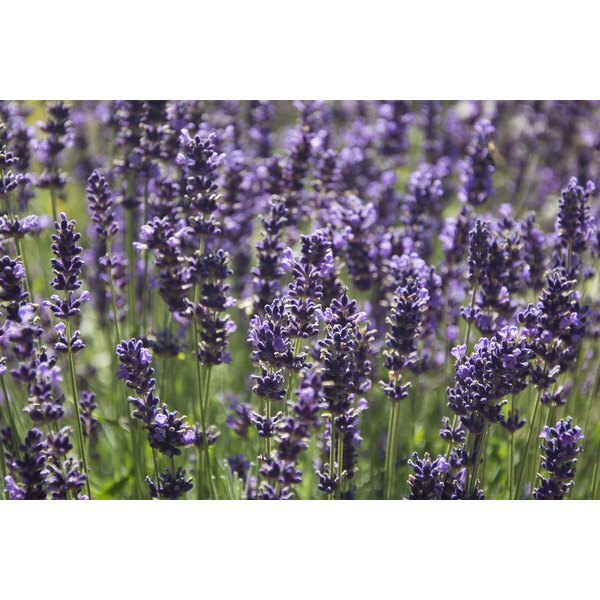 Herbalists and aromatherapists use lavender to alleviate stress because of its sedative and relaxing properties. You can use lavender to make a relaxing herbal tea. According to the University of Maryland Medical Center, you should use 1 to 2 teaspoons of the whole herb per cup of hot water. Lavender oil can also be used for stress relief. The essential oil produced from the flowers of the lavender plant is commonly used in aromatherapy to promote relaxation. You can obtain its benefits by adding up to 10 drops of the oil in a bath or burning the oil in an aromatherapy burner. Lemon balm is a form of mint thought to promote relaxation and stress relief. According to the University of Maryland Medical Center, it has been used as far back as the Middle Ages for relief of stress, anxiety and insomnia. It is commonly combined with other herbs such as valerian in over-the-counter stress relief supplements. The University of Maryland Medical Center's article on lemon balm recommends taking 300 to 500 milligrams of lemon balm in capsule form three times daily or as needed for difficulty with sleeping. You can also prepare an herbal tea for stress relief and relaxation by adding 1/4 to 1 teaspoon of the dried herb to hot water. Valerian is one of the most common herbs used for stress relief and for the relief of insomnia. According to the University of Maryland Medical Center, valerian has been used since the second century to alleviate insomnia and anxiety. The compound contained in valerian, gamma aminobutyric acid (GABA), is thought to have sedative and relaxing effects. For use in relieving anxiety, 200 milligrams of valerian in capsule form may be taken three times per day. Valerian root also makes a relaxing tea that can assist in promoting restful sleep. Add 1 teaspoon of the dried root to one cup of boiling water.